One person correctly remembers four of eight items just seen but is fuzzy on details. Another person recalls only two of the items but with amazingly precise clarity. So what ability translates to higher IQ? According to a University of Oregon study, the answer is very clear: More items stored in short-term memory is linked to greater fluid intelligence, as measured in IQ tests. The resolution of those memories, while important in many situations, shows no relationship with fluid intelligence. The notion that numbers of items is vitally important to short-term memory has been shown in previous studies at the UO. Those studies found that people, generally, have a capacity to temporarily store three to five items in short-term memory. Previous research has shown that capacity in short-term memory is a reliable predictor of an individual's IQ. However, the new study, published in the October issue of the journal Psychonomic Bulletin & Review, sought to take a more comprehensive look at the issue to determine which aspects of memory capacity explained the link with fluid intelligence. "The number of things people can remember is robustly correlated with fluid intelligence -- the larger number remembered, the higher the IQ." said Edward Awh, a psychology professor and a member of the Oregon Visual Working Memory & Attention Lab. "Resolution in memory is not predictive of IQ at all." "Clarity," said lead author Keisuke Fukuda, a UO doctoral student, "relates to how well a person can detect small changes." This clarity, Fukuda and Awh noted, is indeed important but is a reflection of a person's experience in specific domains of perception. For example, while Japanese characters may appear to be similar to an American's eye, regular Japanese readers will readily see the differences between distinct characters. Fukuda put 79 undergraduate students through a series of experiments in which either four or eight objects were shown on a screen for an instant. After a one-second blank screen, one item was returned and the subject asked whether that object had been in a location previously. 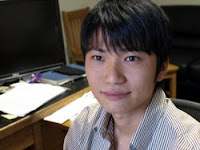 By examining the ability to detect large and small changes in the memorized items, Fukuda was able to get estimates of both the number of items maintained in memory, as well as the resolution or clarity of those memories. These aspects of memory were then related to the subjects' scores on tests of fluid intelligence. The discovery that clarity doesn't factor into a person's IQ score doesn't suggest that memory resolution is unimportant, the researchers noted. The importance of clarity or resolution of things remembered is indeed vital, for example, to a radiologist studying images of a patient's internal organs with potential disease conditions.